Let’s face it. Summer is officially over and as it waves goodbye and disappears into our distant past the one thing that we are gonna be left with is skin that is slowly drying out day by day. I don’t want to be the voice of doom and gloom but you must have noticed that your post-summer post-holiday skin is not quite as glowy and moist as it was a month or so ago am I right? But fear not as Neutrogena have got these two fabulous skin saviours to suit every need. I was pleasantly surprised to find/discover the new Hydro boost body gel cream which includes hyaluronic acid in its formula. This is a serum-like lotion that when applied seems to just throw pure moisture onto the skin. 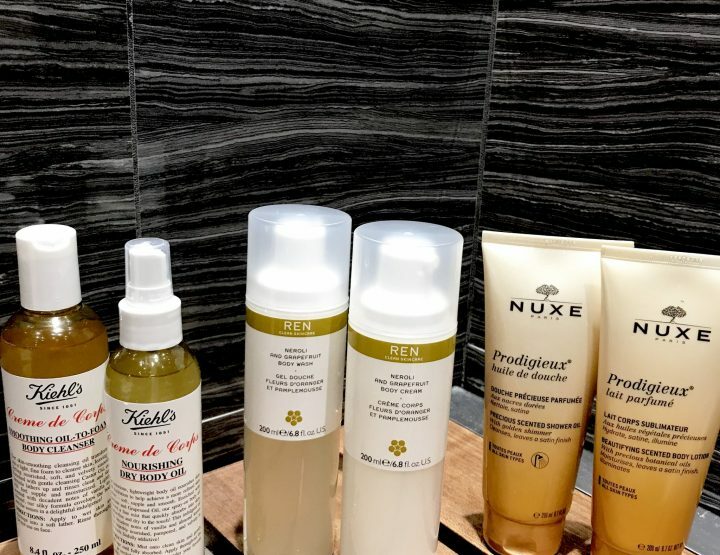 It reminds me of some of those moisture gels that you can get for your face and actually, the brand says that they were inspired by facial hydration expertise. Apparently, this gel cream is designed to keep releasing moisture as your skin needs it throughout the day. This is formulated for normal to dry skin. Suitable for sensitive skin. It contains hyaluronic acid which can hold up to 1000x its weight in water. Hydrates the skin quickly leaving it with a nice glow. 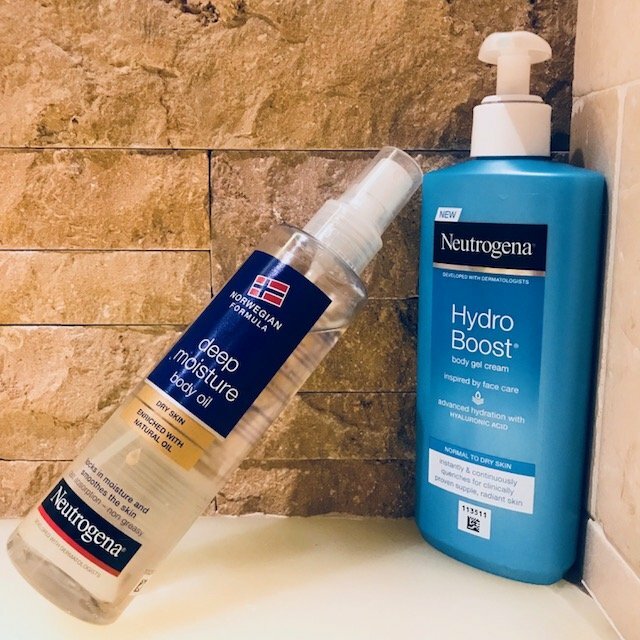 For those with dry skin or extra dry skin or if you just want to have a choice there’s the Neutrogena deep moisture body oil which is enriched with natural sesame oil. Again, this is easy to use and keeps dry skin hydrated and comfortable. I’ve been using it straight out of the shower on damp skin. Moisturises the skin quickly leaving it with a nice glow. Spray format – so easy to use at home or for travel. Natural oil (not mineral oil), which is prepared from sesame seed.